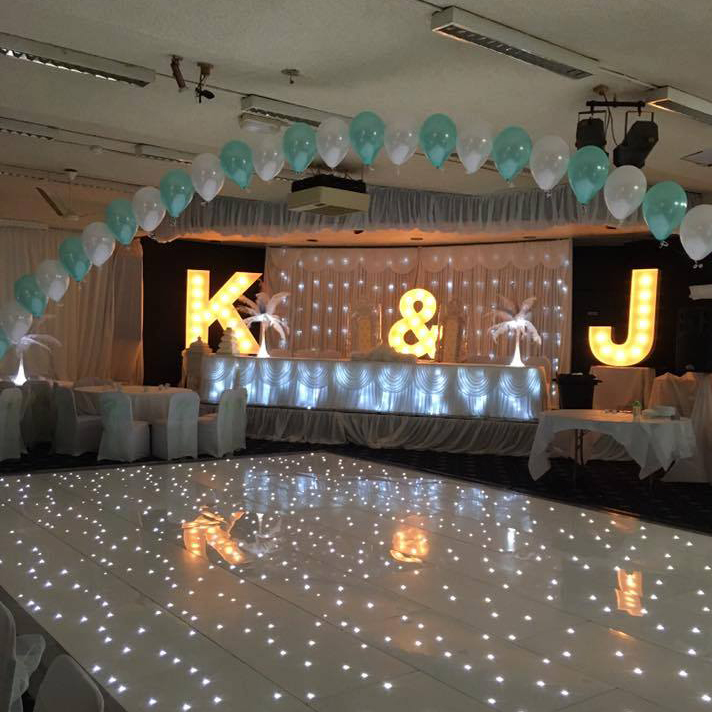 Starlit white or black LED dance floor for hire are the perfect way for a bride and groom to start their first dance. 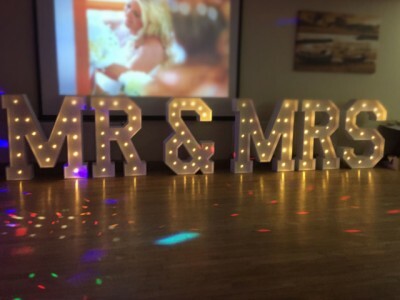 The floors look absolutely brilliant and gives your wedding photos that extra wow factor that will last forever. 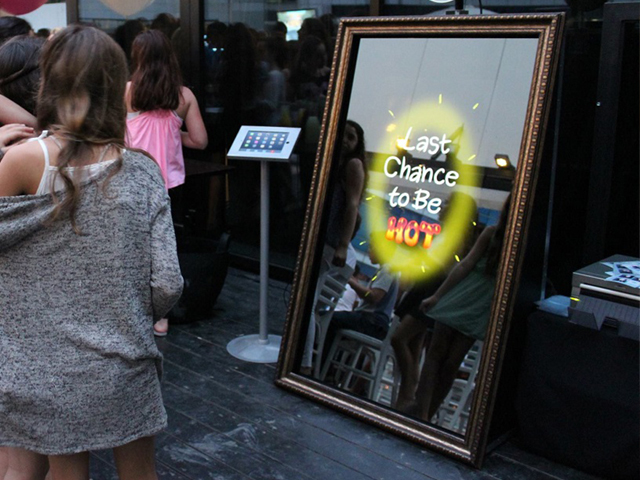 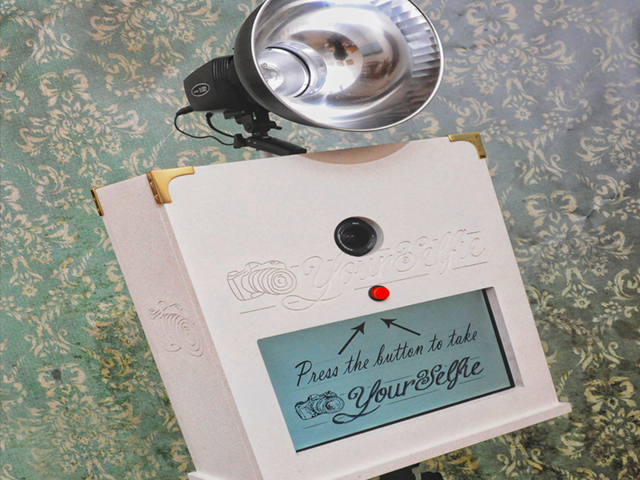 the whole room we gasp when the floor is lit up for you to start your first dance. 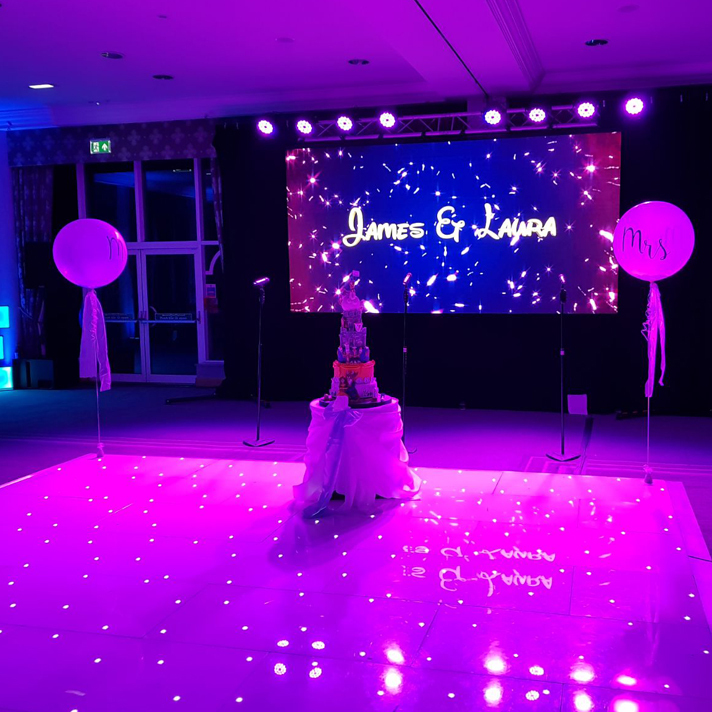 Each section of our dance floor has a four channel low voltage led lighting system built into it creating various patterned effects. 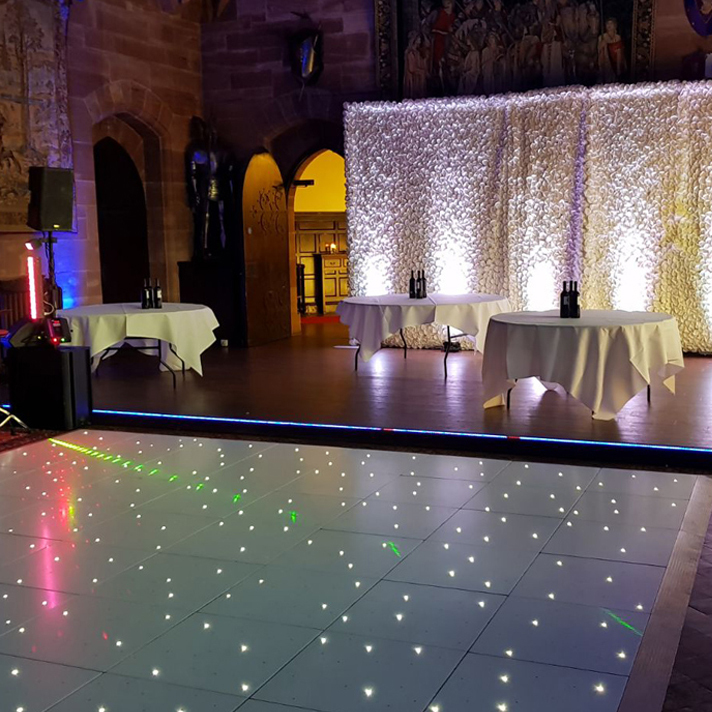 Our dance floors are available for hire now and they look the absolute part with a Star-Cloth backdrop setting each other off. 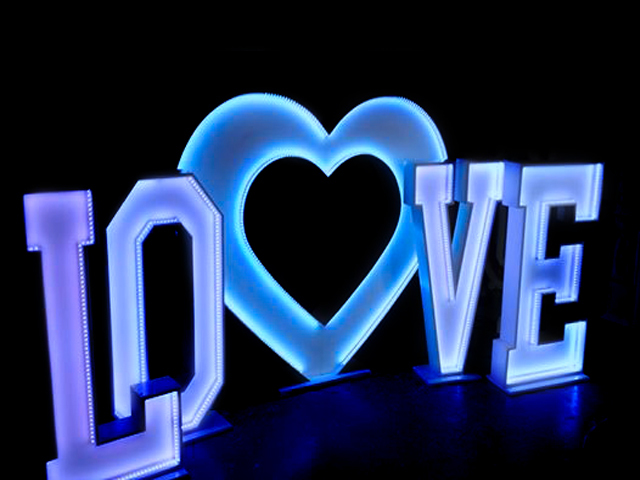 Our LED dance floors come in individual sections of 2ft by 2ft (600mmx600mm) and can be made to any size that suits your event needs. 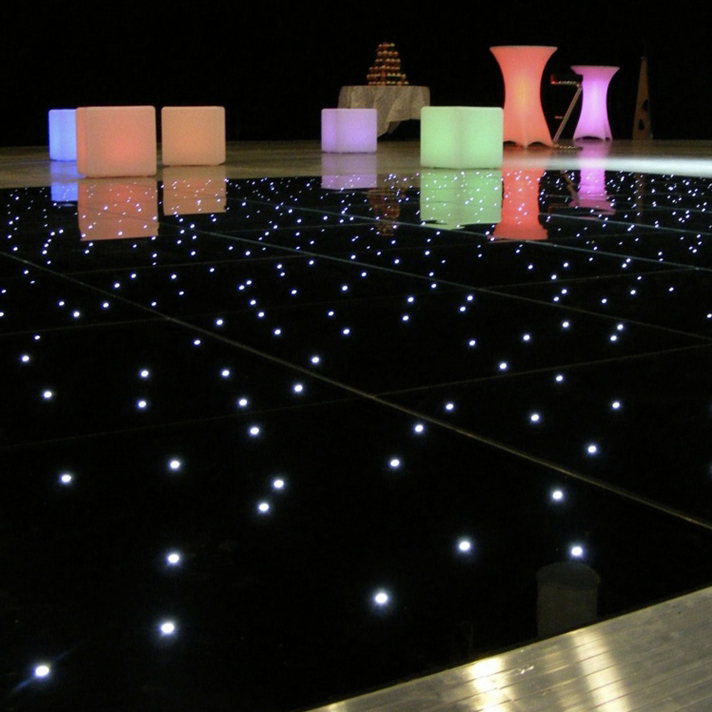 The LED dance floor sections are not suitable to be laid direct onto grass or outside.